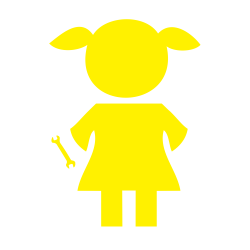 The founding and establishment of our team began when two girls in 2000, at St. Mildred’s-Lightbourn School approached Mrs. D. Byers to propose the starting of a FIRST Robotics team. Our school supported their goal and we became the first all-female team in Canada in 2002, SWAT 771. We had a team of 18 students and four mentors. We successfully built the robot, Mildread. Affectionately known as the “box that rocks”. 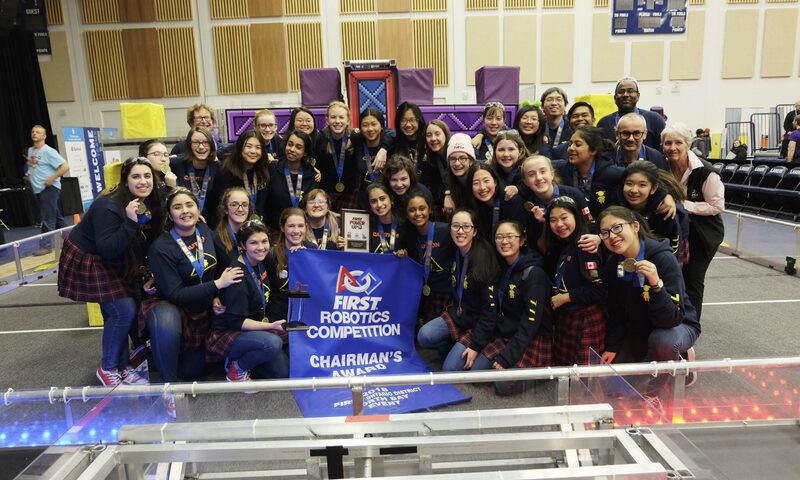 We competed at the Canadian Regional; and though we were a small team, we had loud voices and lots of spirit and we were recognized with the Daimler Chrysler Team Spirit Award. That year we came in 19th out of 44 teams. By the next year, we were showing off our potential not only at home at the Canadian Regional where we were picked for the qualification rounds but also at the Championship hosted in Houston, Texas. Since then, our team has grown considerably and built our brand. We have won many awards including Regional Chairman’s and Judge’s Awards and continue to display our Gracious Professionalism.